Speak to anyone who has been to a child’s birthday party, to a pipe band competition or a demonstration, and they’ll tell you that more ‘voices’ make you sit up and take notice. This is something that the Scottish voluntary sector knows well. Collective campaigning is our norm, and whilst not without its challenges, the benefits are obvious. When we work together with shared goals and clear messages, we make it difficult for others to ignore us. Never has there been a time when it has been more necessary but also more difficult for the voice of civil society to be heard. Brexit involves such a range of genuine, raging concerns across the whole of society that it can be difficult to hear each clearly. Whether it is the impact on trade, on small business, on health &safety, on cross-border law, on food, on medicine…the list goes on. The Human Rights Consortium Scotland is concerned that in the midst of all this Brexit noise, we risk losing hard-won, important legal rights. The UK Government’s Brexit Bill deliberately excludes the Charter of Fundamental Rights. This means we will lose things like wider data protection rights, the right to asylum, the right to education and an overarching right to non-discrimination. When the Government has the power to make legal changes without scrutiny, we are not confident that they will leave our legal rights alone. Without the EU framework, human rights protections may go backwards, not forwards. Brexit has put human rights in Scotland and the UK in a precarious position. The Human Rights Consortium Scotland and SCVO, with the support of the SHRC and EHRC, are asking for your support to send a very clear civil society message about human rights. There must be no reduction in the legal rights that individuals have – this would mean vulnerable people having no power and no say. Instead, we want a Scotland where all of us are treated equally with dignity and respect. We want Scotland to be a world leader in rights protection and implementation, where our human rights standards are continually strengthened over time. We want a society where transparency and participation are the norm. 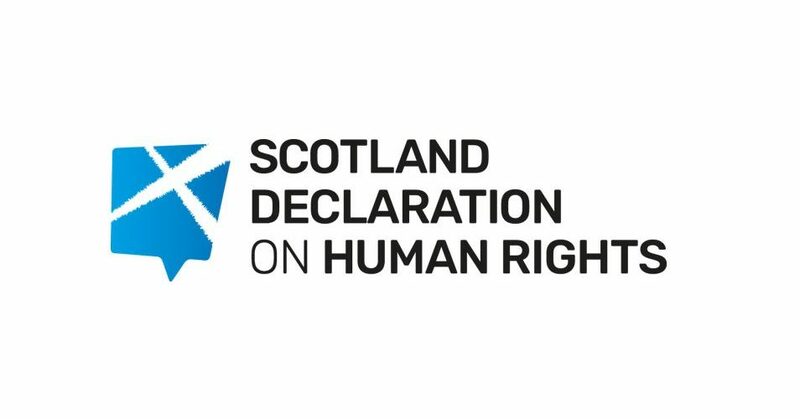 Your organisation may not usually talk about human rights but we need your voice too – if you are for rights and equality in Scotland, please give your support to the Declaration. Together, let’s make a noise about human rights that cannot be ignored.